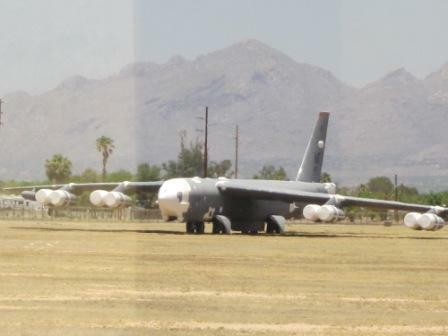 One of the oldest flying aircraft in the US air force is the bomber B-52 Stratofortress, built during the 1950s. Over 700 of them were built during a decade with only above 70 today being used in the active or reserve forces. 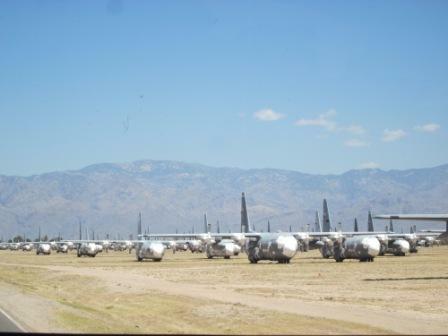 The retired ones are either in museums or in The Boneyard. 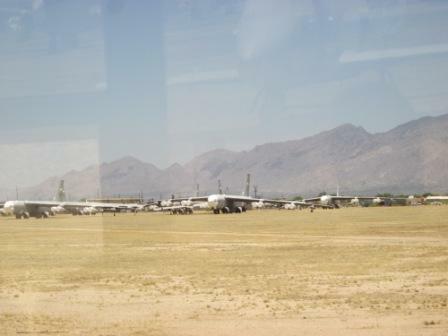 Part of B-52 retired fleet. B-52 Stratofortress without horizontal tail plane. 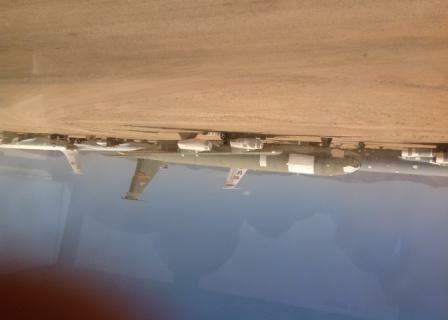 The curiosity of the picture: as you can see the aircraft has no horizontal tail plane (HTP).